New York based Pleatco, leaders in the science of filtration, attracted 75 contestants, in its annual search to honour outstanding individuals in the pool and spa service industry. David Wright, of Passion4Spas, became the first ever British winner and was rewarded with a trip for two to the recent International Pool Show in Orlando. “Our Pleatco Perfect Spa Guy is David Wright from the UK, our first ever winner from ‘across the pond’ and we couldn’t be happier to have a truly international contest now” commented Howard Smith, Pleatco’s chief executive officer. “My passion for the industry grows more each day with new technology and innovation. The thing that makes me most happy is when I see the pool or hot tub installed and the families enjoying them.” says David Wright. 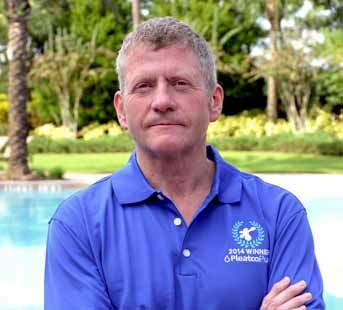 This year, Mark Mulder of Ocean Blue in Florida won the prestigious title of Pleatco Perfect PoolGuy 2014, while Tricia Manley, also from Florida, took the crown of Perfect Pool Gal 2014. “Over the seven years that Pleatco has held the contest with co-sponsor Genesis3, we’ve learned that being a professional pool or spa service technician is more than a job…it’s a passion,” comments Battista Remati, Pleatco’s chief marketing officer.